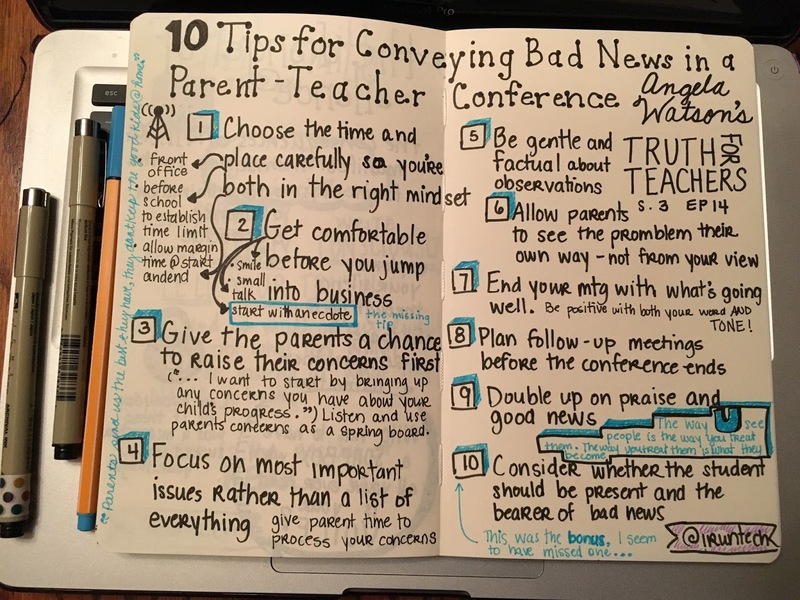 In episode 14 of season 3 of Truth for Teachers, Angela Watson offers her 10 Tips for Conveying Bad News in a Parent-Teacher Conference. I am pleased to say that RJ's teacher did a great job incorporating many of Angela's tips into ur meeting (which lasted nearly 2 hours-I'm not sure how or why, and it didn't feel that way). I am happy he has a teacher who cares so much; he is in good hands. 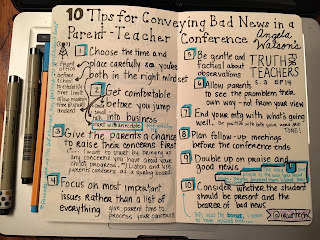 What tips do you have for a "Bad News" conference? Everyone learned a lot of lessons from it and I am glad that they found it in time. Hope it stays in the right hand because we just can't mange to lose it a time like this.